Oil & Gas Journal has just reported that Shell cancels 2014 drilling off Alaska. 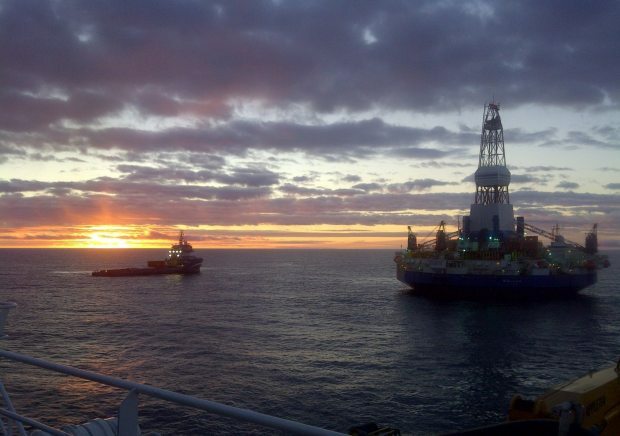 Royal Dutch Shell PLC will not resume activity on federal leases it holds offshore Alaska in 2014 because a US appeals court’s Jan. 22 decision in a 2008 lawsuit against the US Department of the Interior has created significant uncertainties, company officials stated. “We took a pause in 2013 to prepare for the next drilling season, we have added additional people and resources to the venture, we have updated our plans with what we had learned from 2012, and we have worked very closely with [Interior] and other government agencies in the US,” Shell Chief Executive Ben van Beurden said in a Jan. 30 conference call with investors. “However, we are frustrated by the recent decision by the Ninth Circuit Court of Appeals in what is a 6-year-old lawsuit against the government,” he continued. “The obstacles that were introduced by that decision simply make it impossible to justify the commitments of cost, equipment, and people that are needed to drill safely in Alaska this year.